Extremely thin and lightweight design means that it can be comfortably carried all day. Single-sided thumb safety and slide stop maximize slimness. 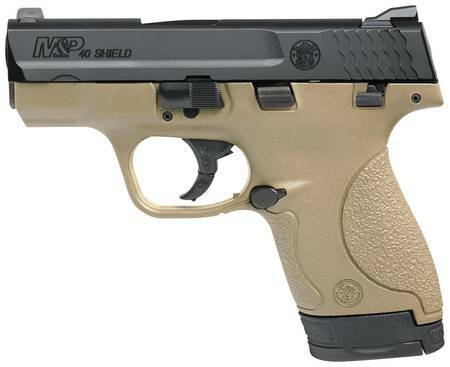 M&P s patented take down lever and sear deactivation system allows for disassembly without pulling the trigger. Includes 2 magazines; 1 with extended capacity for full grip. 18 degree grip angle for natural point of aim. Striker-fired for short and consistent trigger pull every time. White dot front sight, white 2 dot rear sight. Stainless steel barrel and slide with polymer frame. Black Melonite 68 HRc barrel/slide finish.